The Wild As The Wind Psoriasis & Eczema Bathing Salts blend is not only very soothing for these particularly uncomfortable conditions, but continued use will actually see a marked improvement in the condition of the skin, in all likelihood. However, both of these conditions are entirely treatable with diet and sufficient sunshine, as you will learn in Eczema & Psoriasis Causes & Cures. Owing to the negative environmental impact of bath salts mining, especially in the dead sea, Wild As The Wind will soon stop supplying bath salts in their raw form, as this is an immensely wasteful way of using them. If there’s sufficient demand, Wild As The Wind will replace bath salts with mineral salt hydrosols, containing therapeutic concentrations of healing salts, but still a fraction of the amount used in salt baths. ***Let us know if this is something you would like to buy instead of bath salts. The beauty of these hydrosol salts is their ease of use. The hydrosol salt solutions can simply be sprayed directly onto the affected area several times a day. These mineral salt hydrosols will be very like our Cleanse & Restore product, except it will be a salt solution combined with Geranium hydrosol..
Also, Psoriasis & Eczema Bath Salts are still available on request, via email, until further notice. ***Paypal payment is required. The bath salts with geranium [Psoriasis and Eczema blend] were a real treat and the psoriasis on my knees is lots better and not as angry looking and scaly. Well done on making some marvellous natural products. The efficacy of this very pacifying and healing bathing salt blend for both Eczema and Psoriasis is all in the inter-dependent ingredients. Epsom Salt and Bicarbonate of Soda are hand blended and then infused with a number of incredibly soothing and healing essential oils, including Benzoin Essential Oil and Geranium Essential Oil. Bath salts are extremely healing and nutritive, but so is bicarbonate of soda. Baking soda, (aka bicarb, or bicarbonate of soda), will take the heat out of aggravated skin as well as removing bacteria and all odours. It even helps prevent fungal infections underneath the toe nails. Because essential oils are so healing for the skin and body it will come as no surprise that the various Wild As The Wind Facial Oil blends also work wonders on Eczema and Psoriasis, but also on conditions like Acne… and any other dermal issue, if truth be known. FACIAL OIL No. 2 is formulated to counter Acne, but it is also gaining good results with Eczema and psoriasis also. The benefits for Eczema sufferers are usually immediate. No matter the severity of the itching, FACIAL OIL No. 2 will reduce it, or completely alleviate it. There is testimonial to support the efficacy of Wild As The Wind Bath Salts and Facial Oils where dermal issues are concerned. Please add your voice to the growing number of people who are providing feedback! I recently purchased what I thought was an expensive hand oil to combat the eczema and dry skin that was appearing on my knuckles. How wrong was I as it was worth every penny. I’ve tried everything under the sun but the oil has made it nearly disappear in a matter of days. A few drops a couple of times a day and the bottle should last months. Just shows that pharmaceutical creams don’t always compete with the wonders of the natural world. THANK YOU. It no longer looks like I drag my knuckles along the ground! As mentioned above, this very pacifying blend of bath salts is ideal for Eczema. The combination of bicarbonate of soda and Epsom Salt, mixed with the extremely calmative and balancing essential oils will not only sooth angry skin irritation, but will, with continued use, effectively reduce symptoms, in all likelihood. Learn more about Eczema & Psoriasis, and how to heal these conditions. This blend has been specifically created to help with conditions such as Psoriasis and Eczema, but these calmative salts will help pacify and heal many other skin conditions as well, if used on a regular basis. Western Medicine, which is focussed on treating symptoms and not identifying the underlying causes, states there’s no cure for Eczema and Psoriasis. Advocates of Western Medicine, like our GP’s and hospital staff will, in most cases repeat the view of Western medicine, leaving most people believing they are helpless to these really challenging conditions. However, Psoriasis and Eczema are really quite easily reversed, and can remain a thing of the past, if life-style changes are implemented. Learn more about Psoriasis & Eczema, and how to heal these conditions. There’s also a very badly kept secret as to why using Psoriasis and Eczema Bathing Salts… they also smell amazing! And, this is not to be scoffed at! Smelling beautiful, natural aromas, can be incredibly uplifting and de-stressing. As there’s usually an element of stress within each outbreak of Eczema and Psoriasis, which not only affects emotional equilibrium, but also has a considerable impact on all skin conditions, this benefit of these highly aromatic salts should not be overlooked. Most treatments for Psoriasis tend to smell pretty awful. These beautifully aromatic bath salts will make an incredibly welcome change! Read more about the healing properties of bath salts. 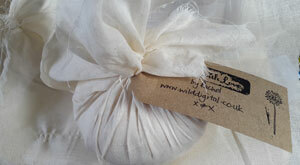 As with all of the other Wild As The Wind Bath Salts, these specialist salts for Psoriasis and Eczema and other angry skin conditions are also packaged in a beautiful muslin cloth that can be used as a mild facial exfoliator or even for culinary purposes. Buy these beautifully hand blended Bathing Salts for Psoriasis and Eczema symptom relief from Wildasthewinds Etsy shop. *Please note, we use the postal service to deliver parcels. The buyer assumes all responsibility for any failure to deliver the items ordered, so please make sure you record your FULL ADDRESS correctly, and add any additional information in the notes to ensure that your parcel is delivered to you. *All of our research materials used in the development of Wild As The Wind products are stated on the Facial Oils page. Warning: Essential Oils may be contraindicated with certain prescription medications and if you are pregnant. Please consult with your healthcare provider before use.